Birk Manufacturing specializes in designing and manufacturing customized thermal solutions for flexible heating applications. However, we find it beneficial to offer our customers a standard heating solution for their flexible heater application needs. Quick prototyping, small-quantity orders, no tooling and multiple resistance availabilities are just some of the benefits of selecting a standard Birk heater for your flexible heater applications. Birk’s standard heaters have proven effective in research, development and testing phases. However, once these phases are complete, customized solutions are recommended to ensure that the overall assembly and application requirements are met. Custom solutions have full integration capabilities with connectors, RTDs and thermocouples for ease of installation. Custom heater solutions reduce the need to source multiple delivery-system components by supplying a single cohesive thermal delivery system to the customer. Custom solutions can be incorporated into higher-level assemblies, allowing for a turn-key solution for the customer. Our highly trained design and engineer team members are available to discuss your flexible heating application needs and to provide you with a customized thermal solution backed by Birk’s warranty. 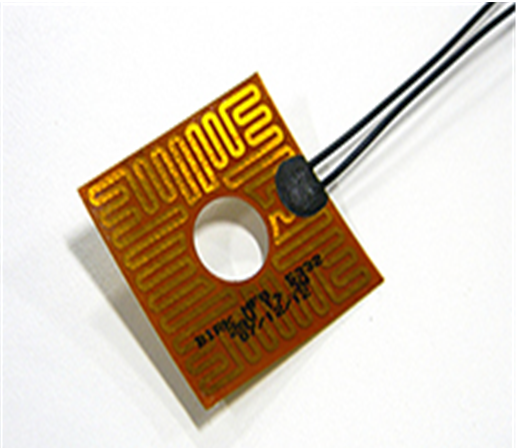 All standard heaters are available in Silicone or Kapton®. The temperature limit is 200°C (if the heater has PSA, contact Birk for more information).